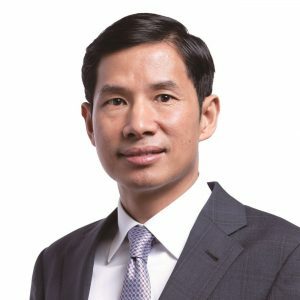 Dr. Fred Hu is founder and Chairman of Primavera Capital Group, a global investment firm focused on the innovative industries in China and around the world. Its portfolio companies span from autonomous driving, data analytics, e-commerce, to Fintech, new retail, and social media. Fred is a respected economist whose main areas of research include macroeconomics, entrepreneurship, and international finance. He served at the International Monetary Fund in Washington DC, and he has advised the Chinese government on financial reform, SOE restructuring, and macroeconomic policies. Fred also served on the Hong Kong Government’s Strategic Development Committee and the Advisory Committee for the Hong Kong Securities and Futures Commission. Fred is currently the non-executive chairman of Yum China Holdings Inc., and is a member of several corporate boards including Hong Kong Exchanges and Clearing Limited, UBS Group AG, among others. In addition, Fred is co-chair of the Nature Conservancy’s Asia Pacific Council, a Trustee of of the China Medical Board, a member of the Council of Foreign Relations’ Global Advisory Board, a member of Harvard University Global Advisory Council, and a member of the Advisory Committees of the Harvard Kennedy School of Government Mossavar-Rahmani Center for Business and Government, Stanford Center for International Development, and the Jerome A. Chazen Institute of International Business at Columbia University. Fred serves as the co-director of the National Center for Economic Research and a professor at Tsinghua University, and he is also an adjunct professor at the Chinese University of Hong Kong and Peking University. Previously Fred was Chairman of Greater China and a Partner at Goldman Sachs, where he was instrumental in building the firm’s franchise in the Asia Pacific region. Fred holds a Master in Engineering Science from Tsinghua University, and a Master and Ph.D. in Economics from Harvard University.